Storage sheds are often built in the home’s backyard for one main purpose: to house all of the items used in that can’t fit comfortably inside the house. However, sometimes the clutter becomes too great in the shed, it can’t hold everything that you might want it to. When this happens, it’s time to reorganise the inside of the shed to be able to fit more things and space can be maximised with the right techniques. The key to maximising the efficiency of your storage shed is to make sure that the space inside it is organised. Granted there is only so much space, but if the things that you have in them are organised correctly, you will have much more of it. Rearranging any messes and clutter to place things neatly inside will help your shed become more organised and look neater. There are a few other techniques worth using as well. Place the items that you use most frequently, such as a lawnmower, towards the front of the shed or the entrance so that they can be easily accessed when you need them. Hanging tools helps reduce floor space as well. 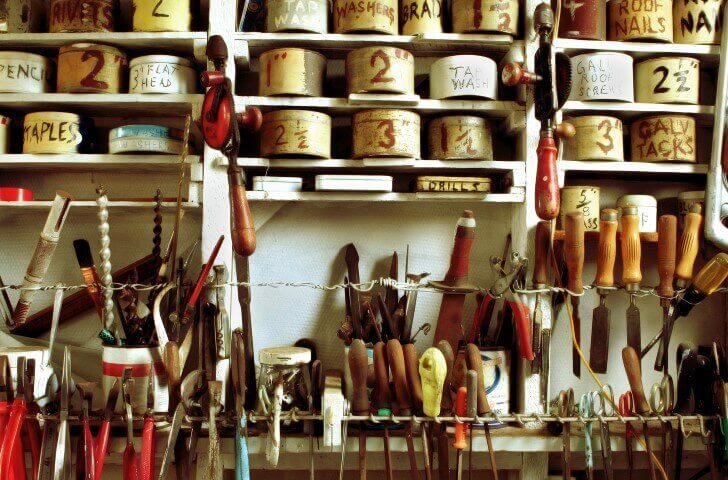 If your shed serves as your workshop, all your necessary tools should be kept in one accessible place. Make sure to also keep sharp items in a secure box or container. Part of organising your space is also deciding what you do and don’t need to keep in your shed. While tools and similar items may be important to you, there are surely other things that are unnecessary, which you could get rid of. For example, after your projects in your workshop, the wastes, such sawdust and wood shavings, can easily be either removed or used in the garden as part of a compost heap. Reusing things rather than removing is another great organisational technique. For example, you could hang some of your tools to reduce space and use a table as a workbench to give you more working room. When a storage shed gets too cluttered, reorganising is the logical step needed to getting it functioning again the way you need it to. By rearranging the items that have, removing the ones that you don’t need and reusing things that you can, you can recreate your backyard storage shed to make it as efficient as possible and as good as new. For more tips or to order a new shed, call 1300 778 628.